I have to share this! 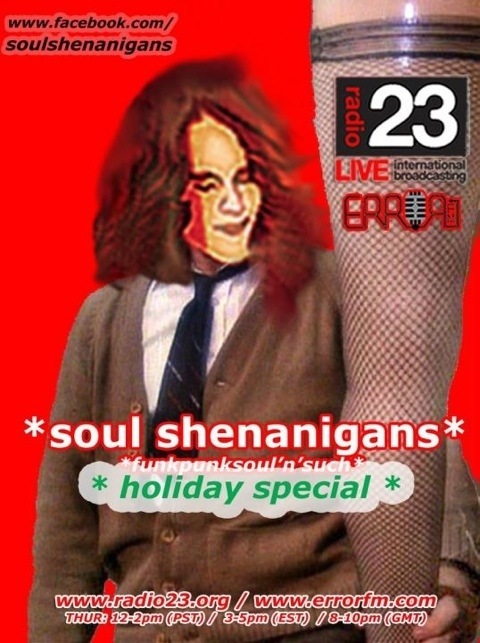 iDJ does up a poster every week for his broadcast in Photoshop. He uses a drawing my sister did of him at our wedding as his face, and plops in to an album cover or whatever suits him. I love it! I introduced him to A Christmas Story our first year together, and he really looks forward to it, and quotes it throughout the year (as you do). Good to see the Major Award getting some appreciation! Come and give him a listen if you can; he put a lot of work into this show and as always, he’ll be playing it live and direct. He talks! He dances! He mixes! You can also annoy him via instant message or on Facebook while he’s playing, great fun!